No momento de admitir um trabalhador é essencial escolher bem o tipo de contrato de trabalho e as cláusulas a incluir no tipo escolhido. Conhecer as situações em que a lei permite a contratação a termo revela-se essencial para evitar consequências não esperadas pela empresa. Consultar programa e reservar lugar! Se tem interesse neste tema veja também Contrato de Trabalho vs Contrato de Prestação de Serviços. A pensar em todos aqueles que precisam de adquirir conhecimentos em legislação laboral de uma forma prática e que pretendem compreender melhor quais as alterações das obrigações legais nos Recursos Humanos, a Câmara de Comércio desenhou um pack de 8 workshops, de forma a que as empresas possam cumprir a obrigação legal das 35 horas de formação anuais. Newolo’s virtual coaching service offers a unique combination of mental fitness and soft skills training. Pictured Newolo’s co-founders Juho Juutilainen (left) and Philippe Santraine. 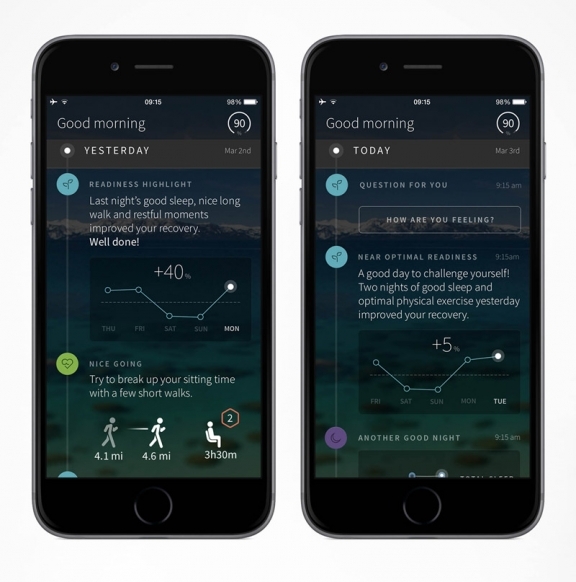 No fitness tracking or instant results here, Helsinki-based Newolo has taken a different approach to wellbeing. Its virtual coaching service improves mental fitness through cognitive behavioural methods. The 750 km Camino de Santiago pilgrimage in Spain is, for many, a journey for personal growth. For Finn Juho Juutilainen it was also a start of a new career. 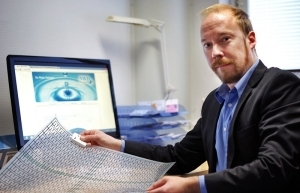 The company was officially established in 2011 after Juutilainen met his similarly minded co-founders Philippe Santraine and Esa Vesmanen. In partnership with the Technical Research Centre of Finland VTT they started to build an online coaching service for self-improvement based on the methods of Cognitive Behavioural Therapy (CBT). The ‘Newolo VirtualCoach’ was first launched in Finland in late 2012 and is now available in four languages across Western Europe. Newolo doesn’t provide instant fixes. The aim is to improve mental fitness and help with adoption of new life skills, especially in a work life context.The virtual coaching program, tailored to match a user’s personality, takes 10 weeks to complete and requires in average 45 minutes of weekly training, including written exercises and video lessons. While the required level of commitment is high, so are the claimed benefits. These vary from better self-awareness and stress management to improved decision making and handling of challenging situations. The Virtual Coach is mainly targeted at consumers and companies who want to invest in the long term wellbeing of their employees, as most of the exercises are designed to reflect real work life situations. Although the program is completely automated it can also be done with support from a real life coach. Professional coaches are provided with an online toolkit to monitor users’ progress and give feedback. Coaching and wellness services providers can also resell the virtual coaching program as part of their own service offering. “Currently the market is focused on measuring the body and there aren’t many services that are aimed to developing emotional life and cognitive skills. 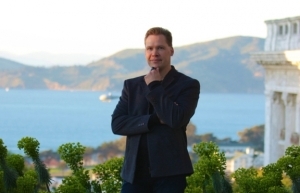 We offer a unique combination of mental fitness and soft skills training,” says Juutilainen. In early April Newolo took on a new market and opened up the service for individual users. Anyone can sign-up and use the service for a fee. The company feels the market is only in its infancy as the importance of emotional skills in work life are becoming better known. One sign of this is the German ZPP certificate Newolo received in July. It means the company’s services are recognised by the German health insurance system and Newolo has become the first Finnish company to attain it. The next step for Newolo is strengthening its partner network across Europe. The company has resellers in Austria and Germany and is discussing with potential partners in the UK. Mikko Ovaska Anna Kurkela, the founder of Papu, thinks that having a story behind each collection can increase the clothes’ emotional valuein the eyes of their users. Children’s clothing brand Papu wants to produce clothes good enough to make them collectables. Eco-friendliness and responsibility are the guidelines for not only Papu’s products, but also their production: their European collaborators have been checked out in person. Papu’s clothes are born from adventures. The whole collection is presented not only in catalogues, but also in stories, poems, and activity books. Anna Kurkela, the founder of Papu, thinks that having a story behind each collection can increase the clothes’ emotional value in the eyes of their users. ”Appreciating a product might sound superficial, but it makes it last longer and hence more ecological,” she points out. Kurkela describes stories as an endless fountain of ideas. This year the collection is based on poetry; the summer collection goes camping with a turnip and a sweet potato, and come autumn, the collection walks down a path coloured by different shades of nature. The story of the clothes isn’t only known at the level of fairytales. The people at Papu know exactly what the history of a piece of clothing is like. ”We know where our products are made, and we trust our collaborators a hundred per cent. Our customers can get very specific information about our production if they so wish,” says communications officer Marja Kurkela. 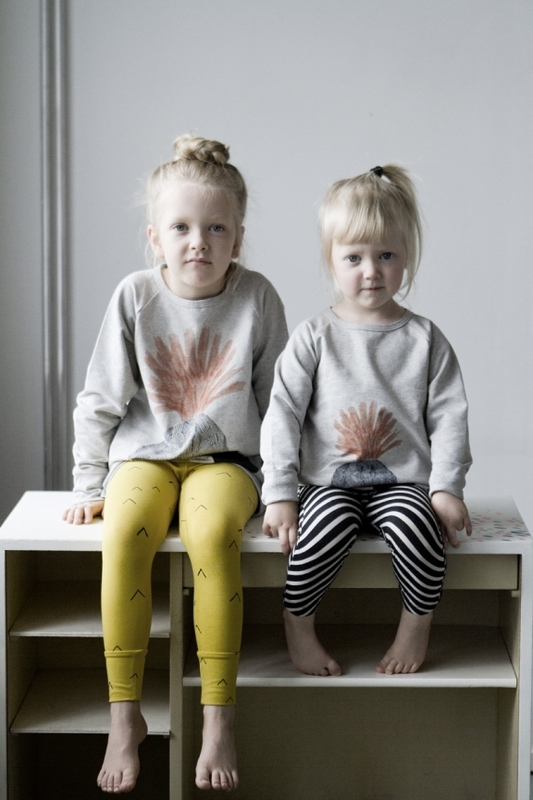 Papu’s clothes are designed by Anna Kurkela, and the books and clothing prints are illustrated by Hanna-Riikka Heikkilä. The production takes place in Portugal and the majority of GOTS certified cotton comes from Turkey. Globally the clothing industry has a terrible reputation due to, for example, the exploitation of workforce and the usage of poisonous chemicals. The folks at Papu have personally travelled to check out how their collaborators work. The policy is to keep the production in Europe. ”In Portugal Papu products are made by professional adults. 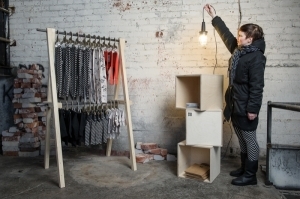 Small amounts of products have been ordered from seamstresses in Finland,” tells Marja Kurkela. Responsibility doesn’t end there. Papu wants to sell clothes that not only last from one child to another, but also grow together with the child. Combination sizes can be enlarged or decreased with turnover ribbings and double buttons. In design the aim is to be timeless. The models don’t focus on trends. ”When a new catalogue comes out, the products from the previous seasons still don’t get old. Hopefully the opposite will happen: sold-out clothes become sought-after rarities,” Anna Kurkela says. By accident Papu has ended up making clothes for adults too. Initially the idea was to get everyone in the office a pair of leggings with a Papu print, but due to a surprising demand they stayed in the selection. The first steps of Papu were taken when the founder Anna Kurkela was studying fashion design. At the time she was interested in producing clothes as ecologically as possible. After her first child was born, she started to gain interest in children’s clothes. Things got serious in 2012. Up until 2014 she alone was responsible for the company. She designed the collections together with Heikkilä, but everything else from marketing to delivering the orders she did mostly on her own. ”It became clear pretty soon that Anna’s resources wouldn’t suffice – and neither would the space in our living room,” says the CEO and Anna Kurkela’s husband Jussi Kurkela. In total Papu employs seven people, two of whom work part-time. Last year Papu became a limited company. Its turnover more than doubled from the previous year, and it had resellers in Finland, Australia, the United Kingdom, Belgium, and Italy. This year’s collection will also travel to China, Austria, Czech Republic, the Netherlands, Germany, and Portugal. According to Marja Kurkela, the percentage of international sales is growing fast. Papu plans on looking for an international sales expert to strengthen the team. “Our goal is that the majority of our turnover in 2016 comes from abroad,” Jussi Kurkela says. Going international isn’t cheap. This spring Papu is going to carry out a crowdfunding campaign, in which it sells shares of the company. “The aim of the campaign is to ensure our cash flow during the phase of fast growth and hence be able to employ new people,” Jussi Kurkela explains. Ōuraring Ōuraring created a mini-computer inside a ring, which collects raw data about heart rate, measures the amount and intensity of physical activity, and analyses the quality of sleep. How to obtain a constant flow of information from the body without having to bind the person into sensors? CEO Petteri Lahtela and CTO and Head of Design Kari Kivelä from Ōuraring decided to combine style and wellbeing intelligence into a product many of us already wear: a ring. ”Fitting technology into such a small piece was a huge challenge. We got started deeming it possible,” says Lahtela. The idea of a new type of a wearable technology product stemmed from the entrepreneurs’ personal experiences. Having had hectic careers in the technology industry, they wanted to create something that would help people listen to their own body and maintain its balance. The group started researching what was available in the market. Heart rate monitors and different types of sensors tended to have two similar issues: they are often impractical to use and not very stylish to wear. Lahtela points out that it’s impossible to wear a heart rate band all the time. ”From the very beginning we’ve wanted to create a product that is as convenient as possible to as many people as possible,” adds Kivelä. 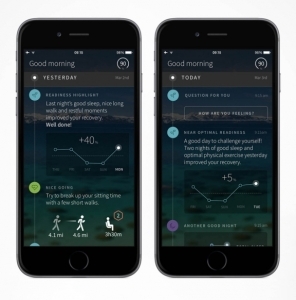 Ōuraring collects raw data about heart rate and its changes, measures the amount and intensity of physical activity, and analyses the quality of sleep and its different stages. Using algorithms the mini-computer interprets the body’s reactions and their changes, and sends the information to the mobile app. From the app users find information about their readiness level and get advice as to how to improve it. ”The ring listens to the body, and the app then gives guidance in words and visual cues,” Lahtela explains. CTO and Head of Design Kivelä is not only an engineer, but also a jewellery designer. The ring is designed by him and renowned Finnish industrial designer Harri Koskinen. ”The timing has been perfect for us, as for example components have become available just at the right time. In comparison to the first sketches the ring is now more compact and stylish,” he says. In the beginning the most crucial feature was the measuring of heart rate and related parametres. Other sensors joined in later, and now the main aim of the ring is to help improve recovery. As the ring is waterproof and its battery lasts for days, it can be worn all day long. Hence it learns to give personalised advice for each individual. Many dimensions of human life starting from social interaction have already gone online. Lahtela and Kivelä don’t think the ring is now technologising wellbeing, too. “Quite the contrary; the ring helps its user understand his or her body even better. With the information we can pay attention to our mental and physical readiness, and try and maintain them at the highest possible level,” says Lahtela. The ring doesn’t claim to know its user’s emotions better than the person. ”The app occasionally asks different types of questions about how the user is actually feeling. Then it combines these feelings with physiology and behaviour,” tells Kivelä. 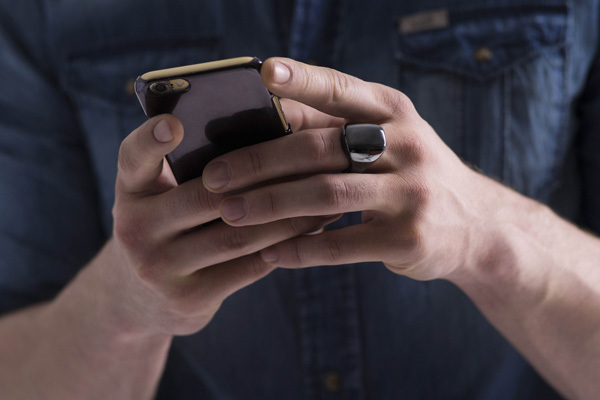 The ring was launched at a startup fair in San Francisco in early March. For consumers the product will be available in September. Ōuraring is headed to the United States, where wearable technology is of particular interest. ”The market for wearables is growing at a fast pace. Health care systems will change so that individuals will begin to take more and more responsibility over their personal wellbeing,” Lahtela predicts. In Finland the company is registered under the name Jouzen, but in international marketing only the Ōura brand and the name Ōuraring will be visible. In addition to the headquarters in Oulu, the company has one person working in Helsinki, one in Japan and one in San Francisco. The now 11-employee team is growing continuously. The product development takes place in Oulu, and the production itself happens in Haukipudas, 20 kilometres away from the headquarters. The covers and circuit boards are produced in South Korea. ”The ring is a premium product, and for us it’s crucial to be able to guarantee top-notch quality on every level. We don’t cut corners at any stage,” says Lahtela. Watector Jani Alatainio got the idea for a new kind of water leakage sensor when working in the construction and real estate industry and seeing what kind of havoc water damage can cause. 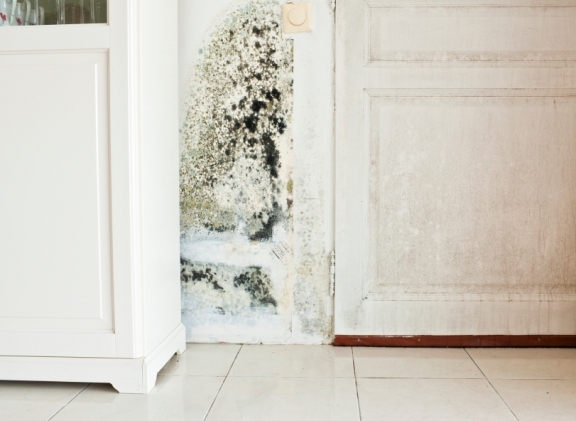 Leaking taps, flooding dishwashers, broken pipes… Water damages are a not only a common and costly problem, but cause a potential health risk. Finnish innovation aims to put them into history. Jani Alatainio is a happy man. After three years of development, his patented water leakage detector has finally gone on sale and it’s flying off virtual shelves. Watector is a water leakage indicator which consists of two parts: a sensor mat created with printable electronics and an alarm unit. 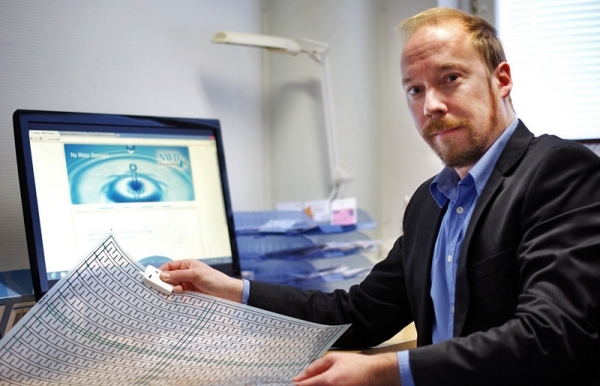 The sensor mat comes in a 50×50 centimetre square, but is deceptively versatile. It can be cut to almost any shape and placed wherever there is a risk of leakage, such as under a washing machine or in a kitchen sink cupboard. If any of the sensors detect water or dampness on the mat, the attached alarm unit is alerted and sounds in a manner similar to a smoke detector. In isolation dampness and/or water leakage detectors aren’t a completely new innovation, but until now they have had one significant handicap: size. Another benefit is that Watector is easy to install and it doesn’t require any special expertise or tools. The sensor mat can be cut to the desired shaped with scissors and after the alarm unit is attached to it, the product is ready to go. As an added perk, the mat is completely recyclable. The product has been patented in Finland and protected with an EU-wide trademark, while the international patent process is underway. Of course water damage isn’t only a problem in Finland and since its launch in Mid-February, Watector has sparked enquiries from many countries, including the US. While the company’s current focus is on market expansion, the roadmap also includes further development of the product to meet the needs of the retail and construction industry. Alatainio gives the example of Watector eventually being integrated directly into kitchen furniture. Plans of this scale mean growing what is currently a one-man company. Alatainio has come far by the means of cooperation and outsourcing (even the product name and prototype packaging were finalised using a student project), but this is not enough for a company aiming to take over international markets. “I’ll definitely start to hire more people, there is no way I can keep doing this alone,” Alatainio says with a laugh. It could be a watershed moment for NWD Technologies.